Traditional hard copy media is in ICU and the prognosis does not look good. Yesterday’s launch of Winestyle at Warwick Wine Estate highlights a number of trends in media and the continuing greening of the wine industry. Winestyle’s model is a combination of an interactive website and a 1/4ly hard copy version where so much was saved in the traditional production and circulation of hard copy magazines that web subscribers get the hardcopy edition delivered free of charge said Manta Media founder Murray Jackson. The magazine will not be on sale at traditional retail outlets and will only go out to subscribers. Jackson also says that the saving from going more virtual is also reflected in the advertising rates. The site will also have links to advertiser’s retail platforms. They also operate virtually – no offices or full time staff, everything is outsourced and managed remotely via the web which also dramatically reduces overhead and environmental impact. Although wineries can be a significant producer of CO2 including fermentation, vineyards also absorb CO2 which – philosophically at least - gives wineries the perfect start toward carbon neutrality which includes green power, recycling, lightweight bottles, environmentally aware practices, organic & biodynamic farming etc but that’s at least another blog to soon appear right here. Rugby is not our national sport – its braaing – or rather standing around a braai and telling each other how to braai, when the coals have cooled enough, when the meat is ready and - when everybody has had a few - if the meat has been turned yet to mention but four of a thousand and one dilemmas each braaimaster must face. We are imminently qualified to claim it as our national sport unlike rugby whose longest traditions are playing players out of position and mismanagement of resources. Running close second as national sport is consultant Springbok rugby coach. However, we have been braaing longer than anyone else thanks very much Bruce, Joaquỉn and Santiago, ja the earliest archaeological evidence of a braai is to be found at the Sterkfontein caves. 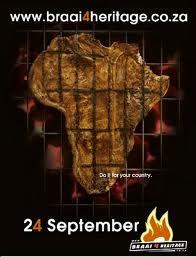 Braaing continues to reverse colonise the world. Just recently Shaka Zulu - a 750-seater braai house apparently at a cost £5.5m – opened in London with the likes of Amy Winehouse and our very own Zulu King in attendance. Amy was not there to meet the Zulu King but to try some Swazi Reds despite one of the UK’s top chefs handling the braai tongs. What a revelation - was at a leap year vertical tasting of Knorhoek’s Cabernets this week and they managed some time travel – not to the missing vintages – but to classic Bordeaux, then modern Bordeaux then back to Knorhoek again for some seriously comfortable comfort food in a gay-Boer-chic setting. 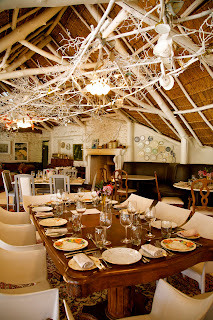 Chefs Westley Muller and Carmen van der Merwe are also very cunning – I kept feeling like I was at my Nan’s for Sunday roast, just with more interesting wine and conversation. This Stellenbosch hidden gem was owned by Dutch East India Company employee Martin Melck, and was referred to as ‘de plaats waar de leeuwen knorren’ (the place where the lions roar). Melck gave the property to his daughter as a wedding gift and it has been in the Van Niekerk family ever since. Tourists – often American with musical instrument boxes – still ask about the lions. We started with the ‘97 which revealed old world, savoury and sea shell notes with elegance to match the setting, moved through ‘00 to ‘02 to arrive at a more opulent and textured ’03, then more new oak and higher extract in 05 and 06 while 07 showed a touch of greenness. Very good Cabs and although there were lots of vintage and style variations the common thread was good fruit and good winemaking. Winemaker Arno Albertyn joined in 05. If you can’t get to your Nan’s for Sunday roast, go there, I left doing the Knorhoek Leeu Loop. 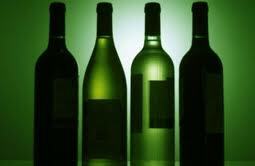 The South African government is considering legalising the dilution of wine grape must. However, closer scrutiny – particularly of EU laws - suggests it's not at all as outrageous as it first seems. South Africa once had so much crayfish (or the prices were so good) the government agreed with France to recognise their geographical indications – one of the first new world countries to do so – and drop the use of ‘semi-generic’ terms like Champagne and Burgundy in exchange for entering their crayfish market in what became known as the crayfish agreement. Eighty years later in the European Union era, the UK Wine and Spirit Trade Association (WSTA) is having a hissy because our government is considering legalising diluting grape must with water which is not permitted under EU and Paris-based OIV (International Organisation of Vine and Wine) rules. UK consumer magazine Decanter recently reported on WSTA’s concerns but both, either through ignorance or agenda it seems, failed to mention that the EU permits must concentration of up to 20% - but at least mentioned that alcohol volumes may be increased by chaptalisation (adding sugar) by up to 2% (or even 3.5% in some regions- did not mention). Producers must, however, choose one or the other even if they know über critic R Parker Jnr is coming to town. More to the point - they have considerable legal means to manipulate alcohol. The 2010 edition heralds the dramatic reversal of a 5-year declining trend in sales to leap 42% to R5,68m, more than R1.6m over 2009's R4m but some way off the highs of over R7m achieved in 2002,3 and 5. Spar emerged tops in the bidding war followed by Checkers and UK-based international retailer Tesco plc. Among the highlights was a record R62 000 paid for a single case of 6 x 750 ml bottles of 1964 Nederburg Port bought by Nigerian businessman and importer of wine, Mr Obi Josephat Ndibe. This is the only port ever made at Nederburg by its legendary wine maker Günter Brözel, who retired in 1989. 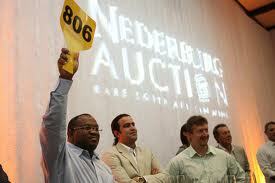 The previous highest price was the 6 x 375 ml bottles of 1959 Chateau Libertas that sold for R23 000 last year.